Replacement filter for the Austin Air Allergy Machine Junior®. The Austin Air Allergy Machine Junior® was developed specifically for people with asthma and allergies living in smaller spaces. 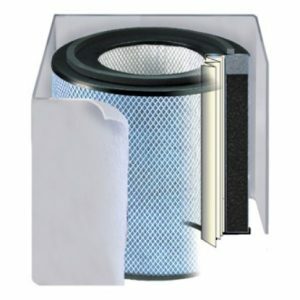 Its unique design increases air flow, filtering allergens from the air immediately. 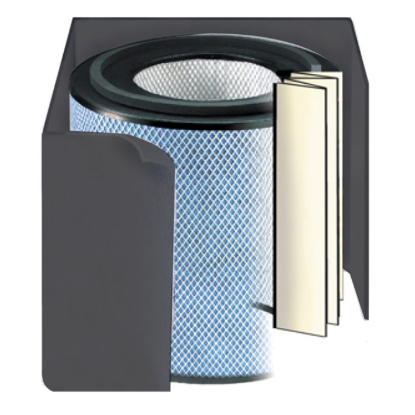 All junior size units are interchangeable with all junior size filters. 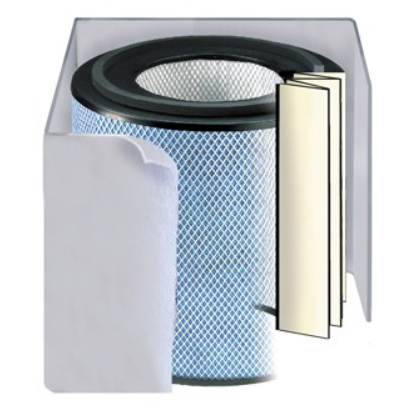 So, if you purchased HealthMate Junior® and would like to upgrade to the Allergy Machine Junior®, simply purchase a replacement Allergy Machine Junior® filter. STAGE 4 – Military Grade HEGA Carbon Cloth. HEGA (High Efficiency Gas Arrestance), providing an extremely large surface area for adsorption of chemicals, gases, viruses and bacteria.